Another Gyleen Fitzgerald mystery. Yes, I got carried away. LOL. Basically she was using us as pattern testers for a new book coming out spring of 2014. My Garden of Eden and 2 into 1 quilts should be in the book. I did not get Happiness finished in time for pictures. Life gets in the way, sometimes. I finally finished the top, so here it is, a wild thing at least!! I am thinking of adding another hexagon and having it floating. 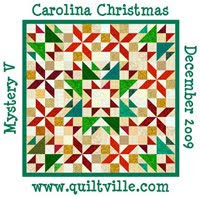 The background is 2 different stripes cut (or cuss)on the bias and pieced into the quilt. Lots of starch and pins, but it worked. I think the picture looks better that the quilt. Maybe I am just tired of all of those strips at a diagonal?? now to find time to get it quilted. Customers quilts come first. 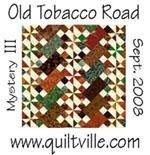 Oh My, I have many UFO's that need quilting. 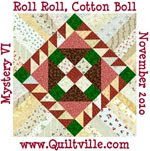 Maybe I can take Jan. off to quilt for me.